If you didn’t see this movie back in the late 1970s, or early 1980s, you’ll probably have a hard time understanding the impact this movie had on many of us — it terrified, traumatized a whole generation of moviegoers! I remember seeing this as a kid and nearly coming off the couch at the moment … well … I don’t want to spoil the punch line. The first twenty minutes are among American cinema’s scariest. Nearly four decades later, even after knowing all its secrets, When a Stranger Calls gets under your skin. This film, and John Carpenter’s Halloween (1978), made babysitting one of America’s most dangerous jobs, right up there with roofing and fishing. If Steven Spielberg’s Jaws (1975) had announced that no one was safe in the water, When a Stranger Calls made it clear that your own house wasn’t really the safest place to be. There are two main reasons the movie is considered a modern classic. First, director Fred Walton, who cleverly expanded his short film The Sitter (1977), builds suspense with the clinical precision of a scientist. As I said before, the first twenty minutes are a textbook lesson in how to create an almost unbearable atmosphere of terror. In fact, the first section of the film is so strong that what comes afterwards is a bit of a letdown. I believe, however, that the less celebrated final ten minutes are pretty intense too. Finally, the actors make the entire premise believable. Carol Kane projects so many conflicting emotions in what is a rather small role. Top-billed Kane is in the first and last sections of the story. British actor Tony Beckley — he unfortunately died of cancer not long after he completed his role — dominates the mid-section with a fascinating portrait of a psychopath. 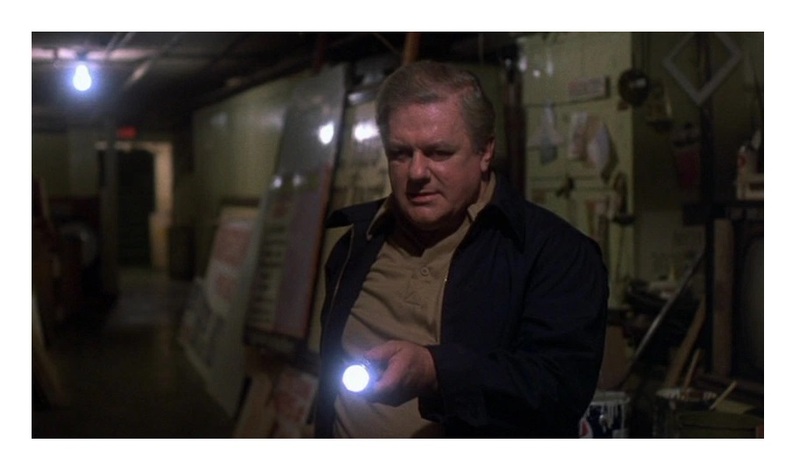 Charles Durning (Tootsie and The Best Little Whorehouse in Texas) plays the detective obsessed with capturing the killer and his commanding presence is the element that ties all three sections of the movie together. Durning’s Ahab-like attitude also adds an interesting touch to the narrative. The fine cast also includes Colleen Dewhurst (The Dead Zone), Ron O’Neal (Superfly), Rutanya Alda (Mommie Dearest), and Rachel Roberts (Murder on the Orient Express). Dana Kaproff’s intense music score is perfect for the movie. The atmospheric camerawork is by Don Peterman (Flashdance and Men in Black). 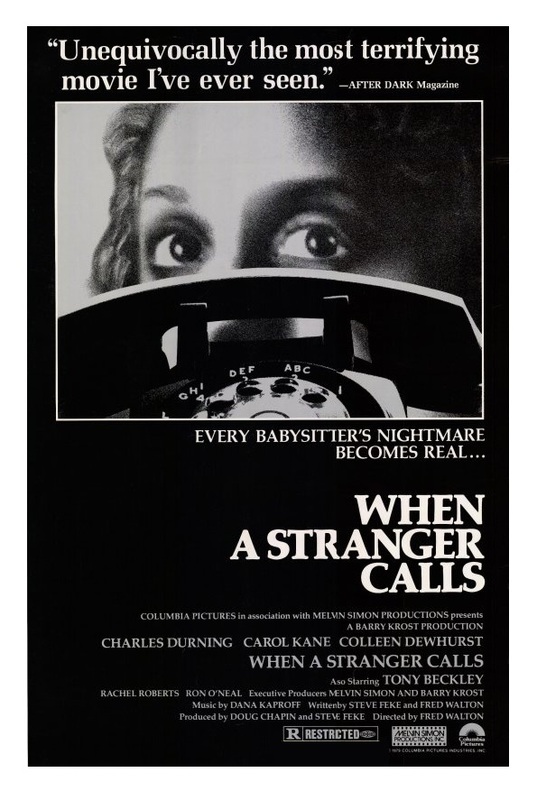 When a Stranger Calls is still, despite its many, many imitators, an effective exercise in suspense. It is one of those films that lives up to its reputation as being one of the creepiest movies of the ’70s. Remade in 2006. Color, 97 minutes, Rated R.
Eric, nice review! I haven’t seen this in ages. Time for a rewatch. It does hold up to repeated viewings. Fine review of a fine movie. I also like the remake (for once), with the excellent Camilla Belle. I have to re-watch the remake. I honestly don’t remember much about it.